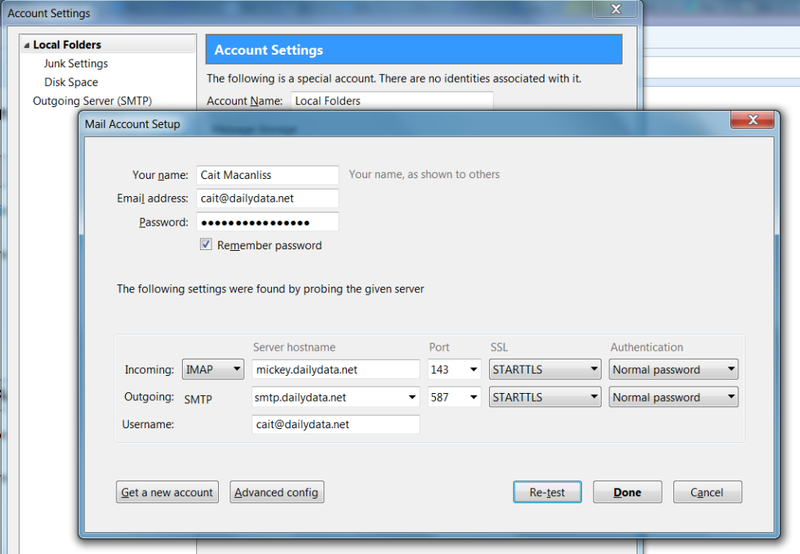 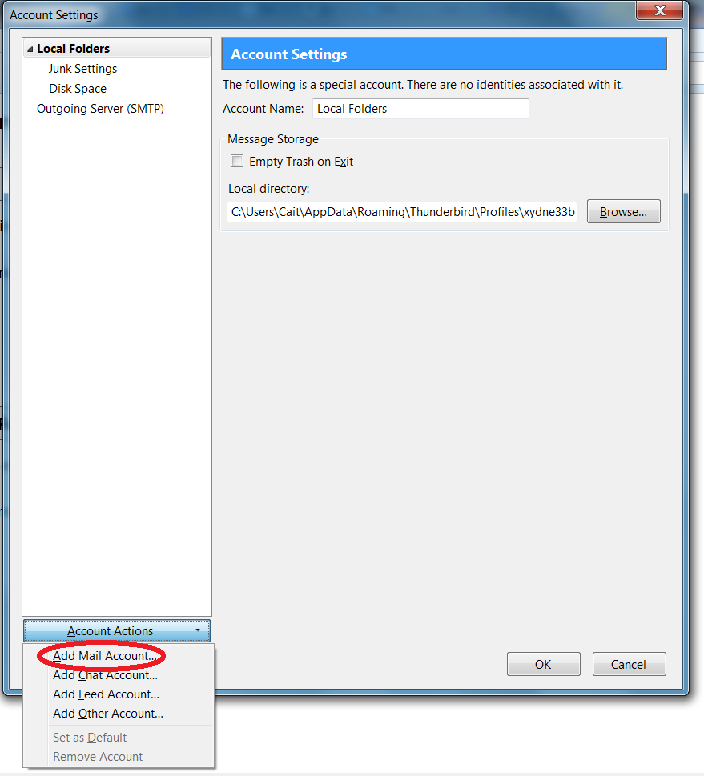 Note – in some versions of Thunderbird, Account Options is found as a choice under the Edit menu rather than Tools menu. 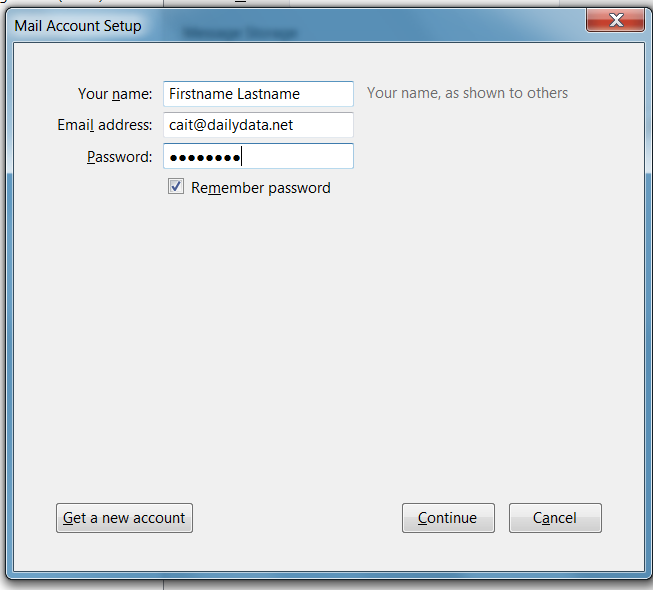 Fill in name, email, and password. 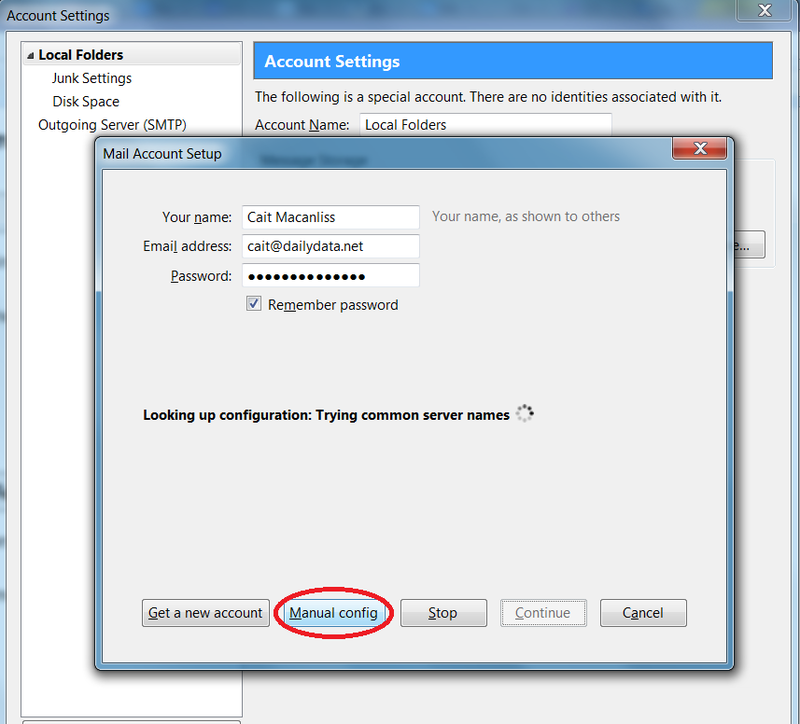 Incoming – select Imap from dropdown.